(TRAVPR.COM) ECUADOR, GALAPAGOS ISLANDS - September 10th, 2013 - Once a year travelers have the rare oportunity to observe the Red Footed booby hatchlings on Genovesa Island in the Galapagos archipelago. Latin Trails is offering its last spaces to join their October 4-7 2013 expedition to explore this far away Island. 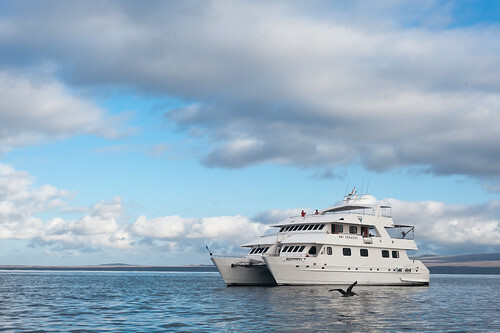 The Galapagos Seaman Journey will be departing the October 4th from Baltra Island and will be offering a 4 day expedition cruise to some of the most interesting sites of the archipelago. 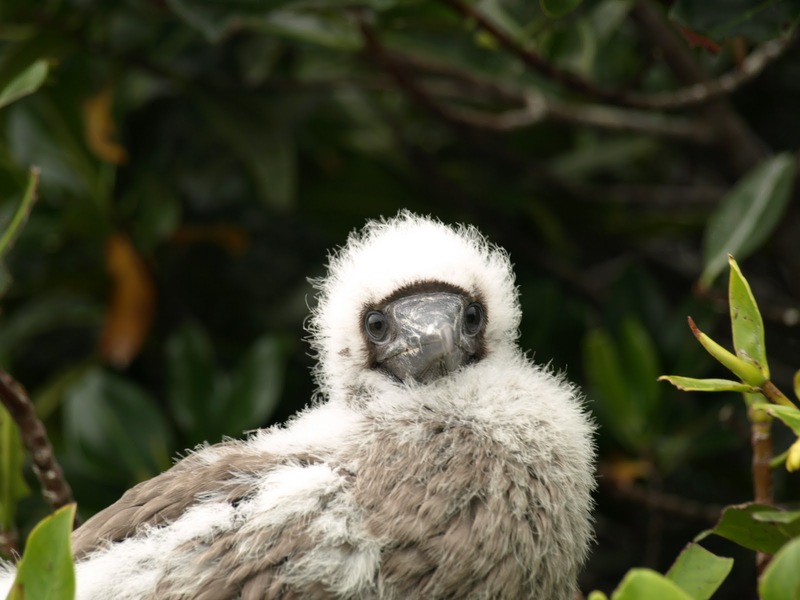 On the second day of exploration you will have a real treat, once a year on Genovesa Island the Red Footed booby hatchlings are present, this means one of both parents is at the nest taking care of its newborn chic. The month of October is special, the air temperature is a bit cooler (average temperature is 70 degrees F - 23 degrees C) it is when seabirds have most food so it is the perfect period for their offspring to be born. 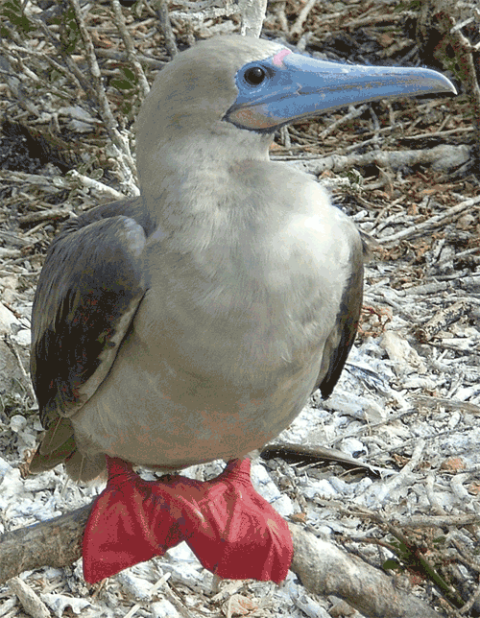 There are about 140000 pairs of Red Footed Boobies on Genovesa, chances are you will be getting great photos. 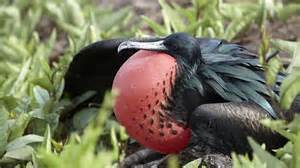 This type of Booby is great at parenting and minds their chics until they can survive on their own. 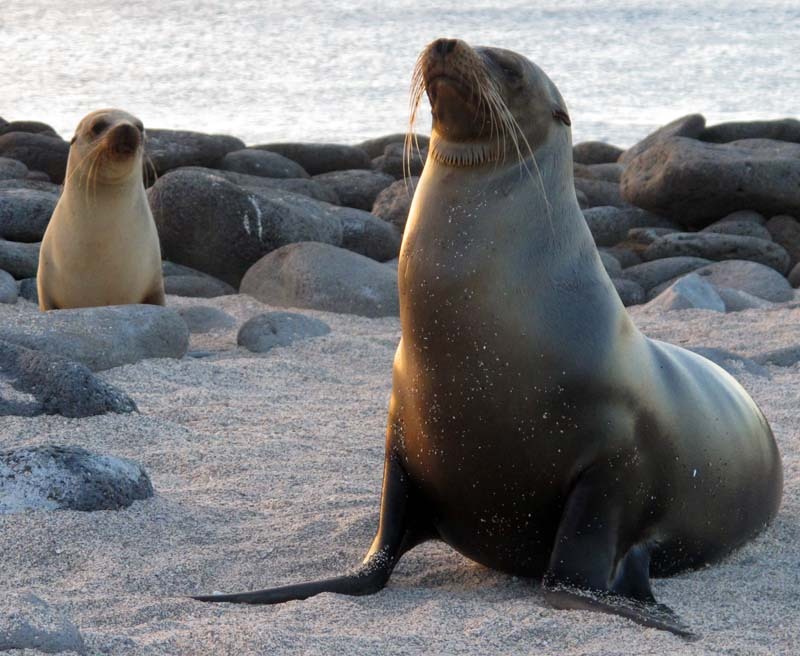 For snorkelers, Darwin Bay on Genovesa, is full of fun, young sea lion pups start venturing on their own into the water and are very playful. They tend to swim around snorkelers entertaining visitors and teasing them as well. This trip is not just for birdwatchers, as there will be variety, on our third day we will be stopping by South Plazas and Santa Fe Islands. We will encounter land iguanas and large sea lion colonies with cacti forests in the backgrounds. There will be several other sea bird species to watch at the cliffs off South Plazas. Our final day ends at the Interpretation center on San Cristobal Island, here we will learn about the balance human presence has with conservation in the Islands as well as theories on the formation of these volcanic isles. All excursions take place in the company of naturalist guides, who will be offering on site lectures. Every evening guides will give a briefing and lecture to enhance the knowledge of what has been seen throughout the day. This is an active trip with some great hiking (about 2 miles per day), snorkeling, sea kayaking, zodiac rides and beachcombing. We navigate at night to make the most of daytime hours at each Island. 4 Islands in 4 days, 6 visitor sites. All meals are included. Contact your favourite tour operator or travel agent to join this unique wildlife viewing departure and get 2 free hotel nights in Quito - Ecuador. For inquiries email: reservations@latintrails.com . Get an additional 5% discount with the attached code LTOCT4to72013.